Artikel Infos Spannung [V]: 12 Starterleistung [kW]: 2,7 Zähnezahl - Teeth. Please check the Reference Numbers. 0001359104, 0001362067, 0001367006, 23669, 26211, 26211A, 26211D, 26211E 26211H, 26211L 26211N, 26211Q, 26211T, 26211U, 26339A, 26339B, 26339D, 26339E, 26339F, 26339H, 26395, 26395A 26395B, 26395D, 26338A, 26338B, 26338D, 26338F, 26339, 26395, 26395A, 26395B, 26395D, 26395E 26395F, 26925, 27500, 27500B, 27500D, 27500E, 27500L, 27569, 27569A, 27569B, 27569E, AZJ3182, IS0579 63227528, 66925170, LRS00212, M12728, PRS212, SM1303, 0727528000, 0986022750, 0986053040,11130579... Ford Modelle Bagger / Traktor. 555 A B C , 455 C D. 620, 622, 630, 640, 642. The item "Anlasser für Ford New Holland Hy-Mac Case David Brown 0001359104 0001362067 R212" is in sale since Monday, April 9, 2018. 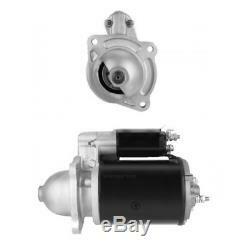 This item is in the category "Auto & Motorrad\ Teile\Auto-Ersatz- & -Reparaturteile\Autoelektrik\Sonstige". The seller is "teilemaxx*com" and is located in Hattingen. This item can be shipped worldwide.